Great Britain Under-20s head coach Pete Russell says Tuesday’s game against Nottingham Lions will be a great test for his youngsters, as they step up their preparations for December’s World Championship tournament. GB face the NIHL Laidler Conference side at the National Ice Centre on Tuesday (7:30pm), ahead of the IIHF Division 2A tournament in Tallinn from 7th to 13th December 2014. Great Britain Under-20s head coach Pete Russell has named his squad for December’s World Championship tournament in Tallinn. The Division 2A competition runs from 7th to 13th December 2014 and GB will face hosts Estonia, as well as Korea, Lithuania, Netherlands and Romania. ﻿Great Britain U18 Women have named a preliminary squad for camps in October and November, ahead of January’s IIHF World Championship tournament. A camp was held in Widnes last weekend and 31 names have been selected for upcoming camps in Dumfries in October and Widnes in November. The GB youngsters will travel to Poland for the six-team World Championship Division 1 Qualification tournament from 19th to 25th January 2015. The Champagne is on ice for Dumfries and Galloway Council as it waits to hear if it has won a top sports award. The Council, together with partner organisation Ice Hockey UK, has been shortlisted for Best Sports Event in the Scottish Events Awards 2014, for the December 2013 Under-20 World Championship ice hockey tournament, held in Dumfries. Great Britain Under-18 Women will travel to Poland in January 2015 for their World Championship Division 1 qualification tournament. No applicant came forward at Congress earlier this year, but Poland have now stepped forward and this was approved at this week’s Semi-Annual Congress. GB will face hosts Poland, along with China, Denmark, Kazakhstan and Italy from the 19th to 25th January 2015. Great Britain Women completed their open trial process last weekend with a final camp at Ice Sheffield. On-ice sessions saw prospective players complete a thorough evaluation of their skills and skating, before working on strength and power-based competitive scenarios. Great Britain Under-20s continued their preparations for their World Championship tournament with the squad meeting for a camp at Ice Sheffield yesterday (Tuesday). There were two on-ice sessions for the youngsters and also some off-ice testing. The GB youngsters are three months away from IIHF World Championship action and will travel to Estonia in December for the Division 2A tournament. Great Britain Under-20s will face Nottingham Lions in November, as part of their preparations for the U20 World Championship (Division 2A) in Tallinn. The match against the NIHL Laidler Conference side will take place in the Olympic Rink at the National Ice Centre on Tuesday 4th November 2014, facing off at 7:30pm. 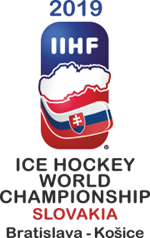 GB will come up against hosts Estonia, as well as Korea, Lithuania, Netherlands and Romania, in the six-team IIHF tournament from 7th to 13th December 2014.